**Note** This article covers six guiding metrics for you to consider in building a solid customer health score. Your available metrics may vary pending the custom data you are configured to send to ClientSuccess. Also, not each of the common health scoring metrics have associated sample screenshots included. To learn the basics and framework of our SuccessScore feature, check out the SuccessScore Profile Basics article. SuccessScore is our customer health scoring framework that allows you to configure your own health score profiles, bringing in customer data to build a weighted health score. Our framework allows you to clearly see the individual metric groups, overall score, and trends that are calculated daily of a customer account. As a general rule of thumb, people tend to use the products and/or services that they like and ignore the ones they don’t. This is especially true when it comes to SaaS products and services. Measuring product usage can help alert your team to issues within your account across various areas such as training, educational resources, and even product enhancements. If you see customer product usage slipping across all users, it’s probably a sign to re-evaluate your engagement strategy and go in to ask targeted questions about where they’re seeing issues. If it’s just a few key users or decision-makers that are trending down, you can reach out to them specifically to uncover the root cause. We get it – trying to quantify something as ambiguous as satisfaction or happiness can be difficult. Putting numbers up against how ‘happy’ a customer is can come off as more ambiguous than customer health as a whole. But, for most customer success teams, customer sentiment is a key element in measuring the health of your customer. Yea, it's a ‘gut feeling’ metric, but it matters, and is one that should constantly be updated and tweaked by anyone interacting with your customer. Another popular customer sentiment metric tracked in customer success is NPS® (Net Promoter Score®). In ClientSuccess, your customer sentiment metrics can be changed on a daily basis or after every single touchpoint. Is your customer content with the product? Are they having issues with onboarding a new service? Are there lingering questions about a renewal that are becoming contentious? These factors could al be considerations when calculating a customer's sentiment, which is why ClientSuccess allows for that flexibility AND the ability to allow it's influence on your overall health score. Another great sign of a healthy customer account is the willingness to talk to others about their experience with a vendor. Whether they’re talking to peers in a casual conversation or signing on to be part of a customer success story, advocates are the unsung heroes of both customer success and marketing. How willing your customers are to talk to others about their successes is a clear sign of whether or not they’re happy with your product and service. This also gives your internal team another strong goal to work towards if a customer isn’t currently a reference or advocate. Customer engagement metrics are focused on your personal interactions and communications (emails, phone call, meetings) with your customers and key contacts. For this example, we will define engagement as the days since last communication whether by email, phone, and face-to-face. 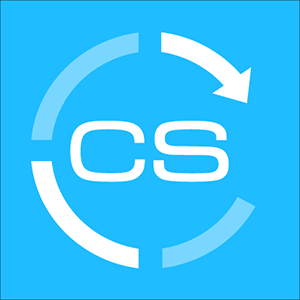 ClientSuccess has a customer engagement tool to help you track your customer engagements in real-time. Customer success managers and leaders love the insight it gives them around customer engagement. Think of this customer success health metric as how often you communicate with a customer account. The customer relationship metric is about how strong your relationship is with your customer account. There is a customer success management strategy called going high and wide. Are you building the right relationships with the right people? If not, you might be surprised come renewal time. Having the right relationships with the right people can help you expand products and services. Expansion is a sign of a solid customer relationship. Consider tracking customer tenure, an easy measurement of renewal success. Typically customers who have entered into a renewal are achieving some love of desired outcome. Another consideration might be a customer's adoption score. Are they utilizing your feature-set to its potential? This next point might be the most difficult to track, but if you're able to clearly define and track ROI we'd recommend including this metric as another potential item in your health scoring system. We live by this simple concept. Relationships in business are great, but relationships without ROI or results are destined to fail or not renew. A customer ROI metric is all about helping your clients achieve a positive ROI with your product or service. This is really important to the CEO, CFO, and the board. If your customers earn 15 dollars for every dollar they spend with your solution, you have a huge win and you have achieved customer ROI. Customer ROI is also a great way to help your customer success teams focus on the right work that drives an ROI and not just product adoption/usage. You might leverage a custom field to provide an ROI metric that is fed by an external source, or the CSMs keep populated in ClientSuccess. A custom field can be added as a metric to your SuccessScore. Need Help Building a SuccessScore Framework? Your CSM can provide high-level guidance and best practices for configuring your SuccessScore, but if you lack the bandwidth or resources to build out your own framework or don't know where to get started please ask us about our consulting services!